The wife accused of stealing more than ten thousand dollars from the church where her husband is pastor has her charges dropped after new evidence is presented. A grand jury previously indicted Sharon Holder, but evidence recently presented in support of her defense has led to the charges being dropped by the state. 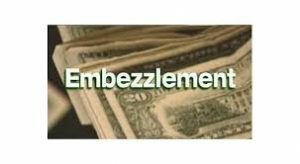 However, her husband, Boyd Holder, who is minister at Victory Apostolic Church on Kite Street is still facing charges of theft of over sixty thousand dollars . Between 70 and 100 thousand dollars was discovered missing by parishioners during Holder’s tenure as pastor beginning in 2010.